Let’s move south. Eurovelo 6 is a bike trail going from the Atlantic coast of France, following for some time Danube river, all the way to the Black Sea. 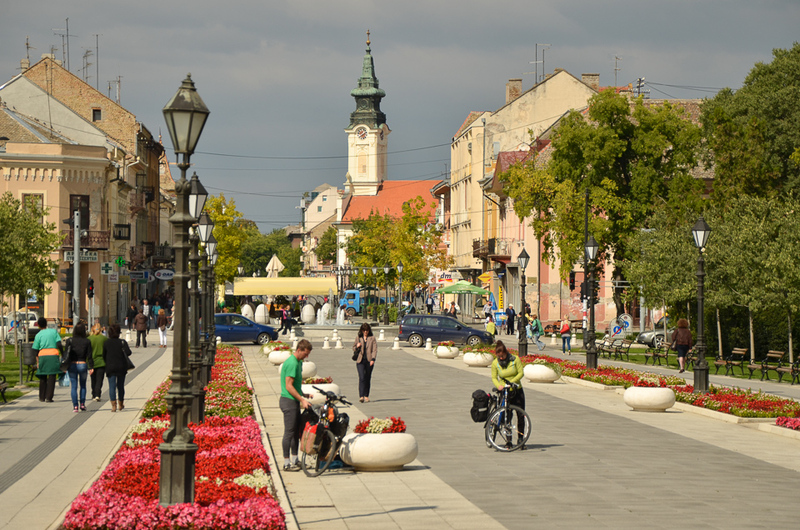 Our goal is to cycle along the Serbian section of the this route, commonly known as EV6. We start from Baja, a Hungarian town nearby the border. We make our start easier by simply leaving our car by the Duna hotel in the middle of a town square and hopping on our bikes. The first section takes us through quiet villages and newly formed path on the top of the dike by the river Danube. The dike is constantly being expanded, so the areas nearby are also deforested. Soon we arrive at the Hungarian-Serbian border in the village of Backi Breg. There is no problem to find a place in the evening, where a friendly host allows us to pitch a tent. And that’s a good sign. In the morning we exchange money. Each euro produces 113 Serbian dinars. The journey begins to bring memorable sceneries. On the both sides of the road we can see farmers working hard in the field, cultivating corn, peppers and some grains. There is a work atmosphere. We lost the trail No. 6, but the road is nice and with low traffic, so at the moment there is nothing to be worried about. 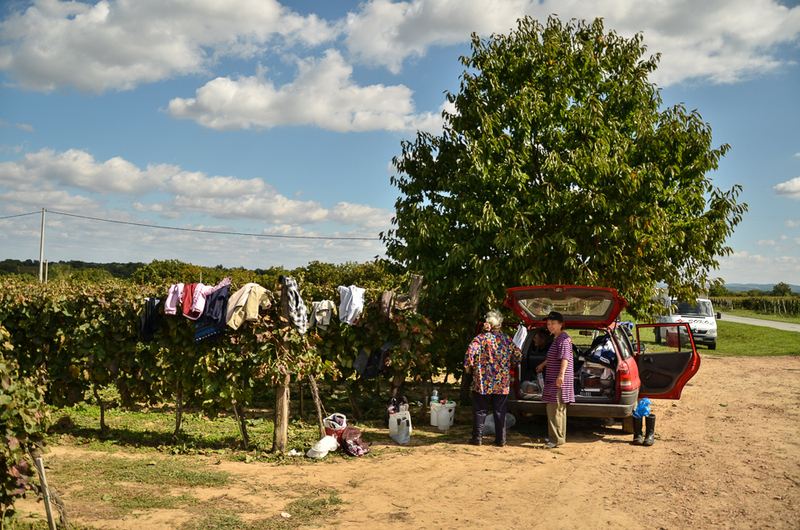 Serbian villages tend to feel like a real folklore – one of the situations is as follows: We are stopped by a man who invites us to taste some of his apples. We cycle further and soon there is the guy’s brother catching up with his car, who fills our panniers with apples. It turns out that he left the car in neutral gear and as it suddenly began to move, he quickly ran after it! The road goes via Sambor, a nice town. 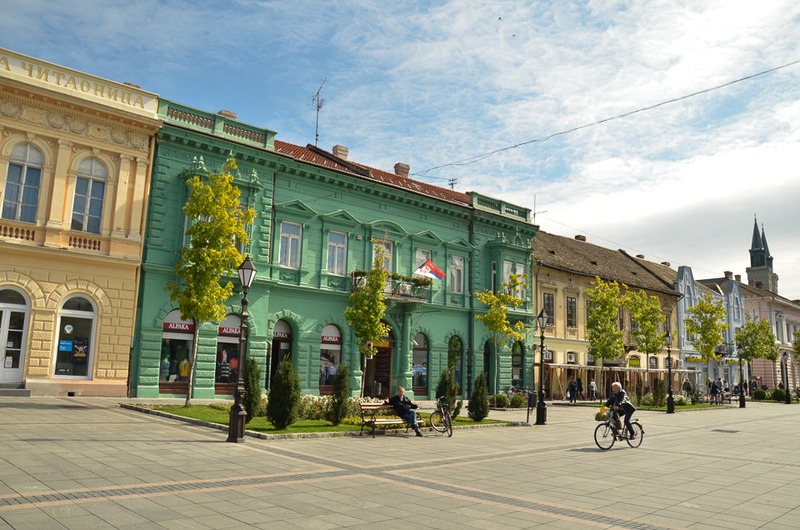 It has an elegant market square with extensive promenade. It is also a place to get something to eat. Balkan cuisine is rich in meat dishes. 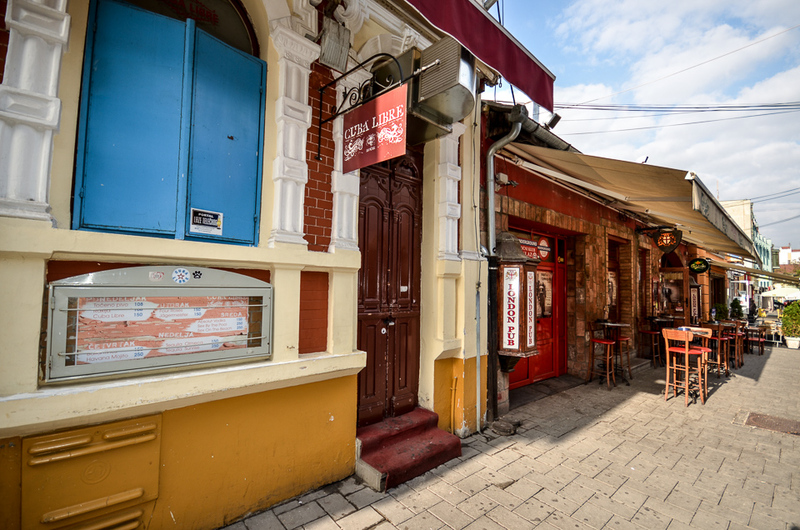 Some of the popular dishes are ražnjiči, grilled pork skewers and meso burek, kind of an energy snack, dripping with fat, baked pastry stuffed with lots of meat. It tastes especially good for breakfast. 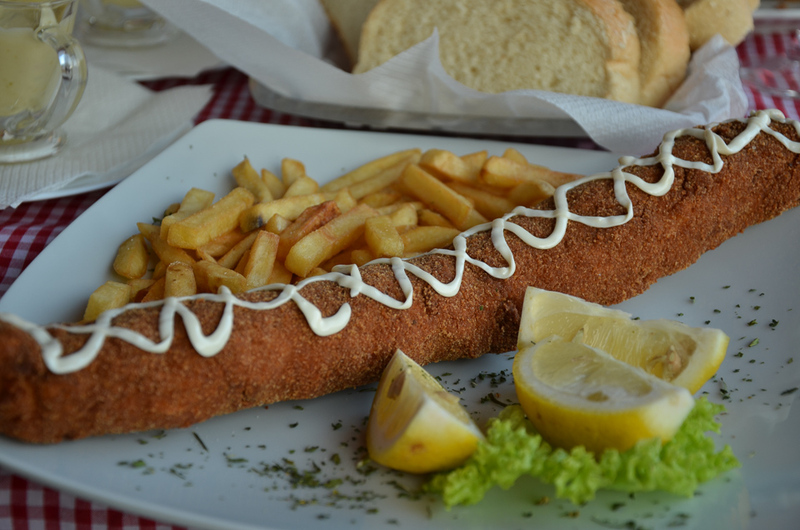 At dinnertime, one can try a giant candy bar of the meat – call it what you want, but it still is a third meter long bar of meat in breadcrumbs. Late summer is definitely colder than we planned and even colder from what you might expect from southern Europe. After a few nights with a temperature dropping to almost zero, any sort of comfort in a typical light sleeping bag becomes very difficult to achieve. Therefore we decide that if possible, we will try to find accommodation to sleep without freezing. There is a short crossing on the Croatian side. A very short one. We basically enter Croatia, eat a lot of grapes and return to Serbian side of the EV6. On our way we find Šijački winery. 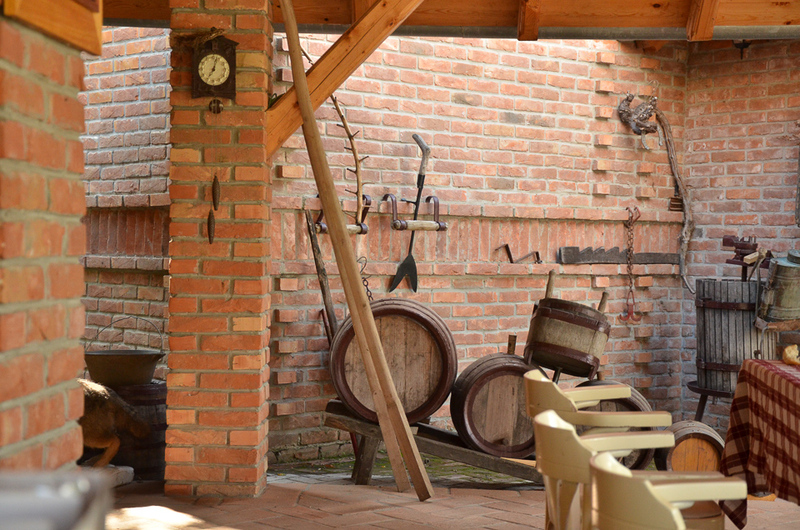 It is located in the picturesque village Banoštor just above the Danube. 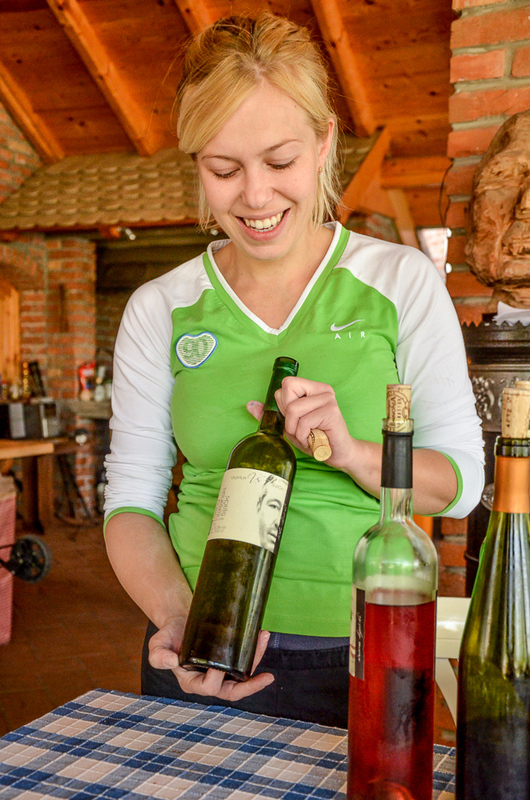 We are warmly and enthusiastically greeted by Ivana Šijački, who tells us about the production of wine, its history, family tradition, as well as, most importantly, she invites us for tasting. 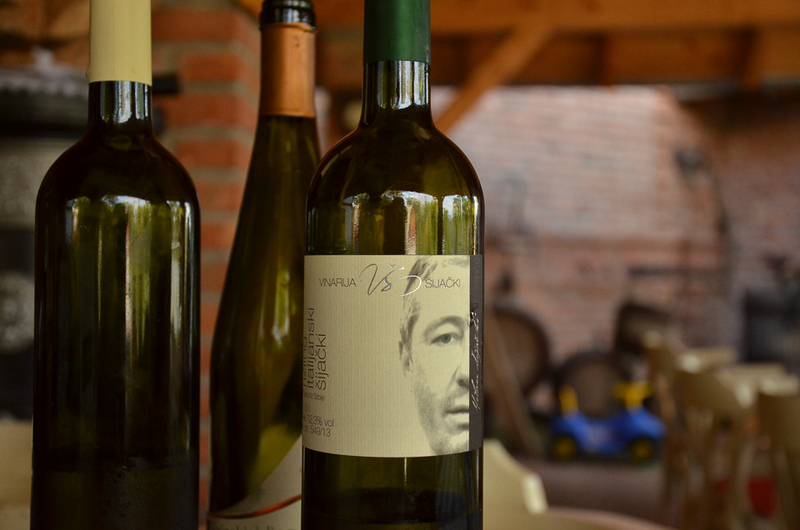 Currently Ivana, together with her father and brother are engaged in the production of wine, which has been a family tradition for several generations. The family has 10 hectares of vineyard. Capacities allow to produce about 60,000 liters per year and in the near future the production is going to be increased to about 100 thousand liters annually. 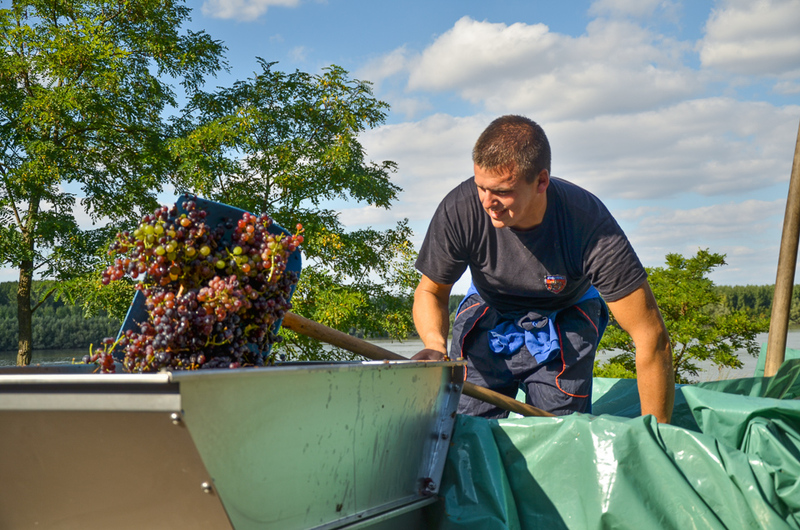 Winery lies at the northern slopes of mountain Fruska at about 180-200 meters above see level, just above the Danube. An interesting fact is that the grapes get as much as an extra hour of sunlight per day due to the sun’s rays reflecting in the river. It is just as hard to believe that during winter a single snowfall of one meter can fall in this idyllic land! The area is directly threatened by floods, years 1998 and 2006 were particularly a near-miss for Danube to tip over its sides. 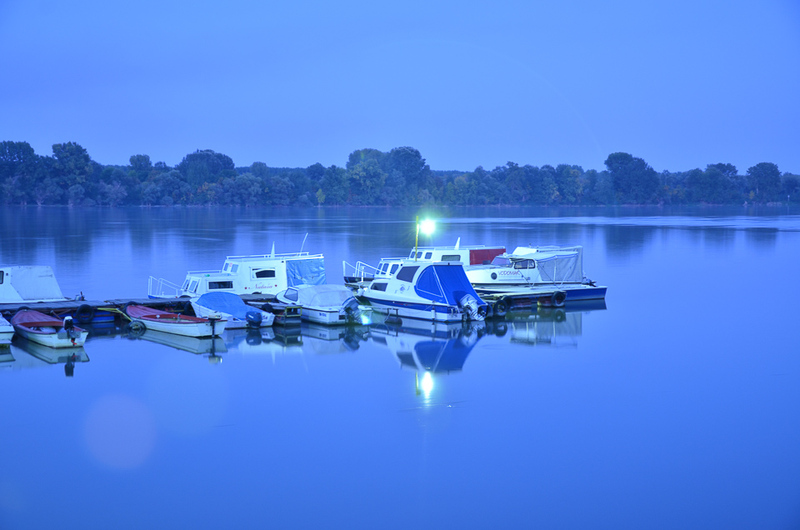 Srem region is intentionally unprotected against flooding, letting the river to overflow here rather than to threaten located nearby Novi Sad, the second largest city in the country. 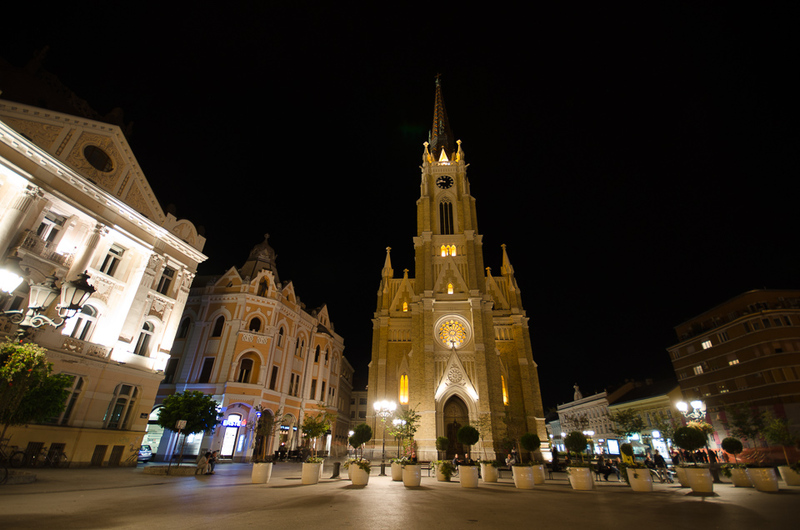 As we experience, on Tuesday evening, Novi Sad is teeming with life, you will see some tourists, but most of the bars are filled with local students. In the morning we visit the Petrovaradinska tvrdava fortress, which is located on the other bank of the Danube, offering panoramic views of Novi Sad. Serbs are passionate about using different transportation tricks on their trailers, car roofs, or even overloaded bicycles. They do it in a creative way and can easily fit together a washing machine, three large flower pots, a bicycle frame, a tire from a tractor and a lawn-mower. The improvisation has no limits. We even manage to see a three wheeled Opel Kadett. A resourceful owner managed to put a tree trunk instead of the missing wheel. The design might not be too streamlined, but surely is enough to go to nearest garage. For a short section the road becomes very not so interesting because of the truck traffic. We decide to detour and take this task seriously, so we enter the park Frutska Gora, where tough terrain begins. Going through the bush we finally manage to reach local roads. We pass the village of Maradik, Beška, N. Karlovci, in the end we have gained some altitude to completely enjoy high-speed downhill ride to the shore of Danube in Stari Slankamen. We are lucky, the riverside restaurant is serving freshly caught catfish. The perfectly prepared bike path continues all the way to Belgrade. 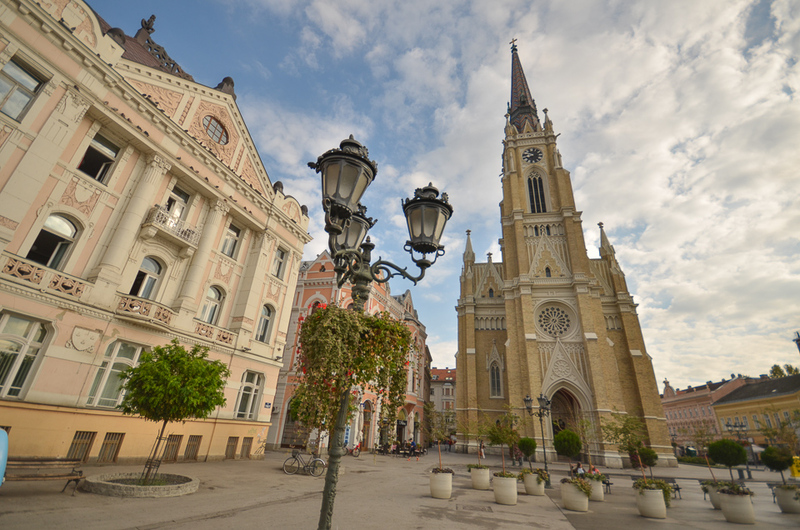 The capital of Serbia is a rapidly growing, international city with lots of fancy cafes and restaurants on the main pedestrian street. Most of them are filled with tourists. However, just as you cycle a few hundred meters from the center you will still see some traces of the NATO bombings forced by the United States in 19999 (in spite of general opposition of the United Nations). Like many other, similar American operations, also this one remains questionable. Was it really worth and indispensable to loose hundreds of civilian lives for the purpose of “prevention”? After a short visit we decide to get out of Belgrade by train. An interesting thing. When we buy the tickets from conductor, he managed to ask us in his basic English: “I write or I not write?”. It turned out that the ticket with “no formalities” has a small discount and free carriage included! We get off the train in Backa Topola. This is a random village from which we decide to drive some distance under the cover of night. We pass through Bački Sokolec, already quite tired and a perfectly trimmed football field looks too tempting not to pitch the tent. 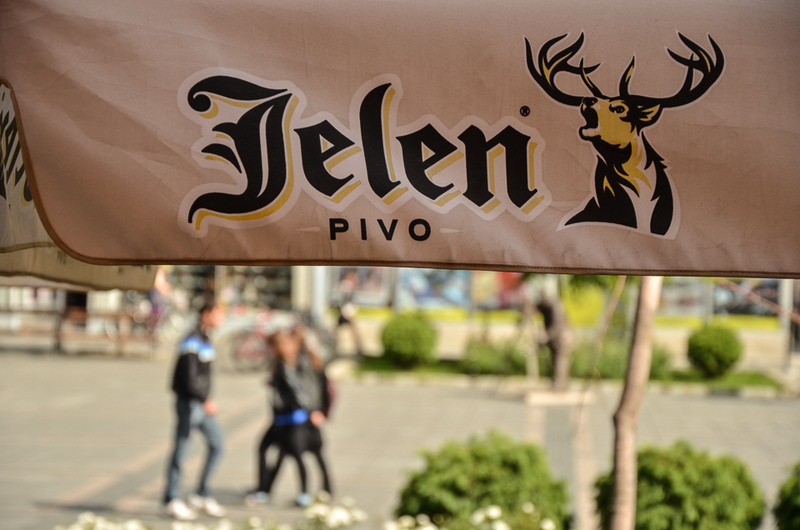 In the morning, I get to know Srjdan, an owner of the only bistro in the village. We’re talking about the Serbian reality, how “life used to be better here”. According Srjdan, once 80% of Serbs constituted the middle class. Today, around 90% live in poverty and 10% are elite. No middle class. 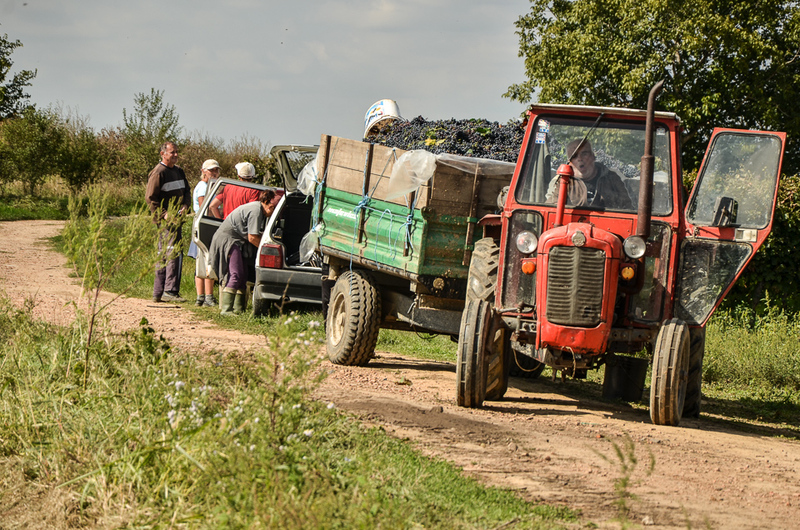 Well, with asking corn prices equal to around 10 dinars per kilo [about 10 cents], it is difficult to make a living, thus easier and cheaper to import food from Hungary or Poland. During our conversation I try to understand Srjdan’s point of view. “Slobodan was able to take care of everyone. Yes, he was also concerned about his own well-being, but this whole war is an invention of the American media”. According to Srjdan, the real foundations lie in the religious differences. The once tiny Islamic Kosovo suddenly, with sometimes even 8-child families became a 2 millionth nation with Albanian roots who wants independence and Islamization of the country. Utopian vision of a Greater Serbia [Yugoslavia] had no real chances of survival. At some point Russia and the United States joined the game, trying to give the Yugoslav republics freedom. On the one hand “voluntarily”, but on the other hand (as it is the case today) in order to take profits from minerals in the region. It’s a common strategy on which the entire world is built. “There is no future in Serbia” – with this barely positive conclusion, Srjdan announced that he wants to sell his three hundred square meter house for less than thirty thousand euros and start a new life in Canada. No prosperous state has been created in a day. The fact that the government in rule is not the most brilliant one doesn’t help, yet you need more than just hope and positive thinking. 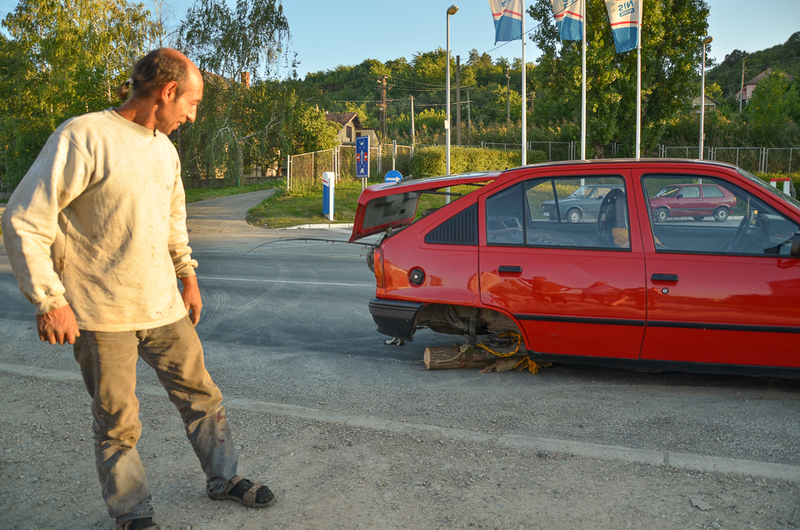 Last 80 km to Baja in Hungary goes smoothly. We return back to the area full of bureaucracy, but also with great opportunities and economic freedom, the European Union. Causing mixed feelings once in a while, I also wish Serbia became a member state one day. In the meantime in the center of Baja, our car has been moved for to free space for wine festival. Plenty representatives of local wineries have already opened their stands. The evening comes, locals show up at the market square and the great wine tasting party begins.